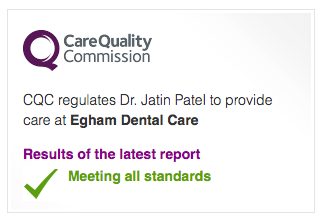 The Egham Dental Care team led by our principal Dentist Dr. Jatin Patel & wife Priti Patel. Dr. Patel qualified from Guy’s Hospital in 1999. He worked as an NHS dentist for approximately eight years in a number of practices in the southeast of England. 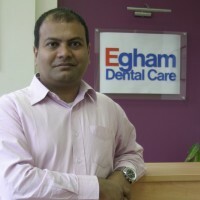 He set up Egham Dental Care in 2008 as a brand new practice to provide high quality dental care, free from the limitations of the NHS dental system. Dr. Patel provides a comprehensive range of dental care including crowns, veneers, root canal treatments, routine dentistry as well as cosmetic makeovers. He is currently studying towards a three-year Diploma in Dental Implantology at the prestigious Eastman Dental Institute (part of University College London) in London. He is married to Priti Patel. Priti qualified as registered dental nurse in 2012 and holds the National Certificate in Dental Nursing. Prior to this she also had a degree in Hospitality Management (2003). 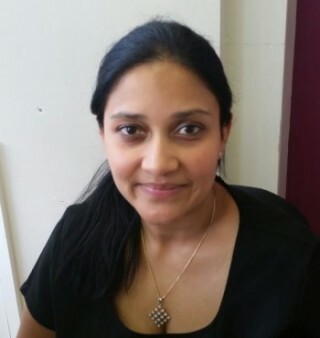 She is the practice manager and receptionist of Egham Dental Care and deals with the day to day functions at the practice, including health and safety and compliance with the CQC. She is responsible for the in-house training of the other nurses at Egham Dental Care. She provides dental chairside assistance to Dr. Patel and the other practitioners, in general dentistry, implants, endodontics (root canal treatments) and oral surgery. Dr. Fatima Alm has extensive experience in minor oral surgery such as lower 8s removals, difficult extractions and apicectomies. She has worked in the hospital setting for a number of years, where she gained her experience. Dr. Alm also performs dental sedation at Egham Dental Care. She holds the SAAD sedation qualification and is able to perform I.V. sedation and relative analgesia for both routine and advanced dentistry. She qualified from the University of Manchester and has worked in the oral surgery department at various hospitals since. She currently holds a position in oral and maxillofacial surgery in London. She is also experienced in botox procedures and dermal fillers. Dr. Chritian Dobreci gained the Master in Clinical Dentistry in Periodontology at the prestigious Eastman Dental Institute in London and subsequently completed his Membership in Periodontics examination to become a member of the Royal College Surgeons of Edinburgh. He is also able to carry out other more advanced treatments including implant therapy, which we can discuss in more detail, either over the phone or via email. All of the above treatments can be combined with sedation if required.